Garret sent me a picture of snow in Winnipeg last week. This is not snow. 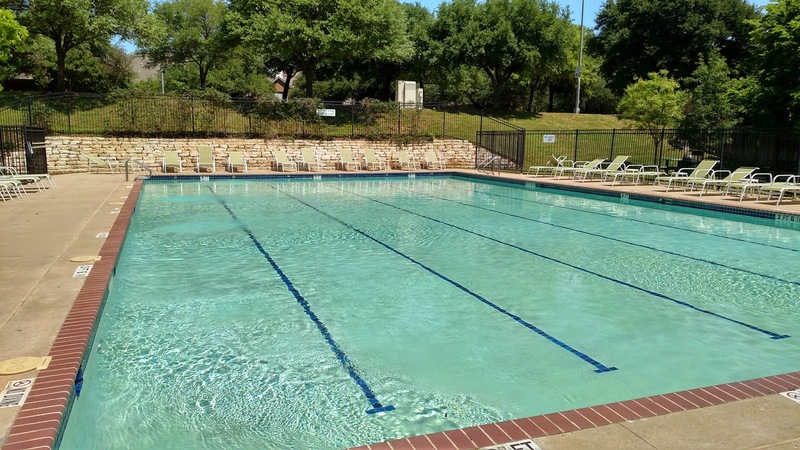 The pool opens on April 1, and even though the water is still cold (around 65F), I start swimming. The funny thing about swimming is that if the sun is shining and it's warm (it was 80F today), the pool can be almost any temperature and I can survive. Swimming in very cold water on a cloudy day, though, is another matter entirely. What does it feel like, swimming in 65F water? Well, for me, it means that if I swim for longer than 15-20 minutes, my extremities feel a bit "thick" when I get out of the pool. Your body dissipates heat 30X more quickly in water than in air, which means 65F water is much colder than it sounds. I've learned over the years, though, how long I can swim, and when I need to get out. This is my favorite moment of spring, actually. Pool's open, the water is brutally cold, and the sun is shining.